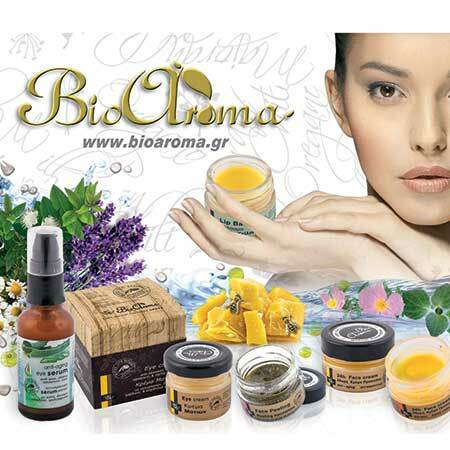 Face Mask with Pink Clay Bioaroma was added to your shopping cart. Face mask with Pink Clay and essential oils for sensitive and stressed skin. Face mask with Pink Clay Bioaroma ideal for treating dark circles under the eyes. For all skin types, especially for tired skin. 1. Mix one teaspoon of Face mask with Pink Clay Bioaroma with water until it becomes a liquid mud. Even if you make the mixture too dilute, not worrying, the result is the same. The mask will dry again. 2. Add to the nose of the spoon the gel of aloe. Mix all ingredients. 3. Apply the mask on face, under the eyes and neck and let it dry for about 15-20 '. 4. Rinse with water and soap. Try soap with sea sponge to rinse the clay mask in minutes. Ingredients: Montmorillonite (Clay), Lavandula Angustifolia (Lavender) Oil, Cananga Odorata Flower (Ylang ylang) Oil, Jasminum Officinale Flower (Jasmine) Oil, Benzyl Alcohol, Linalool, Benzyl Benzoate, Limonene (components of essential oils, 100% Natural).